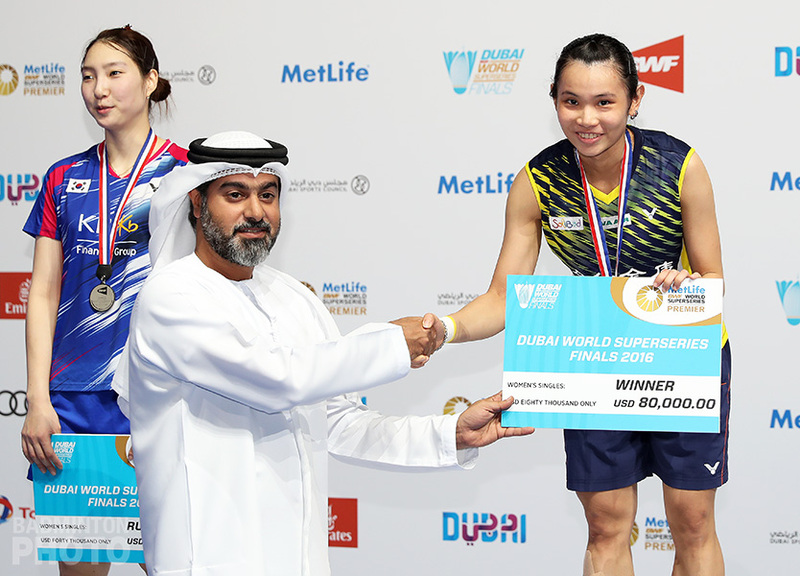 Chinese Taipei’s Wang Chi Lin became the first player to win the doubles double in a major tournament this year, with mixed partner Lee Chia Hsin getting the first major title of her career. There was a collection of firsts occurring on finals day at the 2018 New Zealand Open. To accomplishing a career-first doubles double, Wang Chi Lin (pictured top, with men’s doubles partner Chen Hung Ling) first had to win a major mixed doubles title for the first time. This also meant that partner Lee Chia Hsin had to be along for the ride and take her own first major title. Wang’s doubles double was also the first for any player in 2018 in a major event (as long as we exclude the Oceania Championship mixed triple by Sawan Serasinghe and Setyana Mapasa in nearby Hamilton a few months ago). Incidentally, Wang took over the mantle from Korea’s Seo Seung Jae (pictured right), who was the last player to accomplish the feat, in his home Grand Prix Gold last December. The mixed doubles final was Wang’s first win over Seo, who had already denied the tall Taiwan player at home last spring, when Wang last had a chance at a doubles double. That event, like this past Sunday, was Seo’s first outing with a new mixed partner. This time, with Chae Yoo Jung, the youngster made a promising challenge after suddenly falling behind late in the deciding game, but could save only 3 match points before Wang’s hard, steep smashes denied them a fourth and delivered him a first title. Lee Chia Hsin (pictured left, with Wang) already had a nice little collection of International Series titles, in all 3 disciplines. In fact, 5 of those 6 minor titles happened in Oceania and 4 of them right here in Auckland so it is fitting that her ascension to the top rung at a BWF Tour Super 300 should happen in the same city. 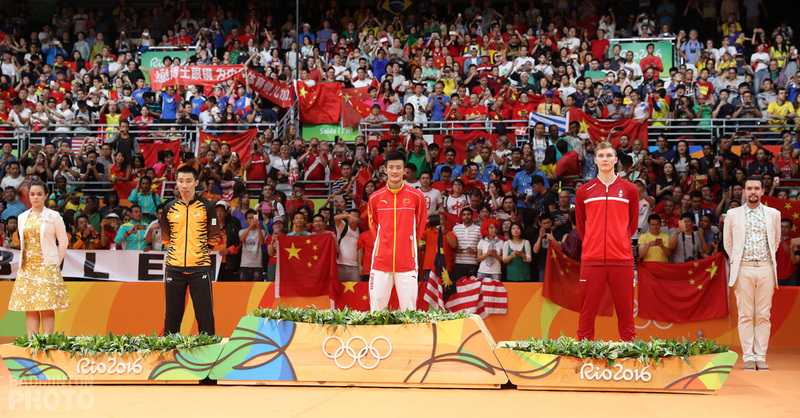 In the last match of the day, Wang and Chen Hung Ling were the top seeds and defending champions and they already had 3 Grand Prix Gold titles to their names from last year. 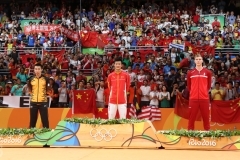 They played like it, too, and left second place to Indonesia’s Berry Angriawan and Hardianto, who also won their first and second major titles last year. Japan took both women’s titles. 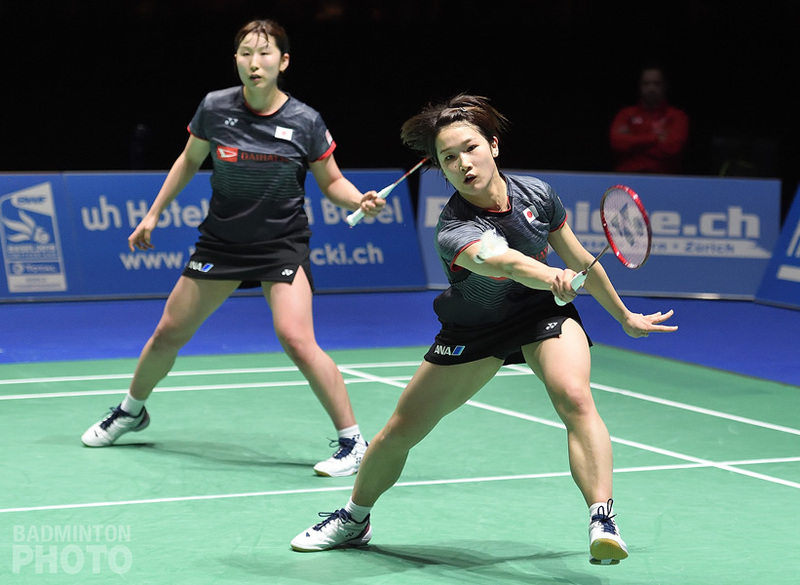 With their entire A team busy at home with an annual bi-nation team challenge with Korea to prepare for the Uber and Thomas Cups, Sayaka Takahashi and Ayako Sakuramoto / Yukiko Takahata (pictured bottom) each succeeded again where they had at the Swiss Open a few months ago. For Sakuramoto and Takahata, it was one better than they had got last year, when the New Zealand Open became their first appearance in a major final. Sayaka Takahashi’s win over Zhang Yiman of China was the shortest match of the day but the 21-year-old Zhang is moving up in the world, appearing in her first major final. 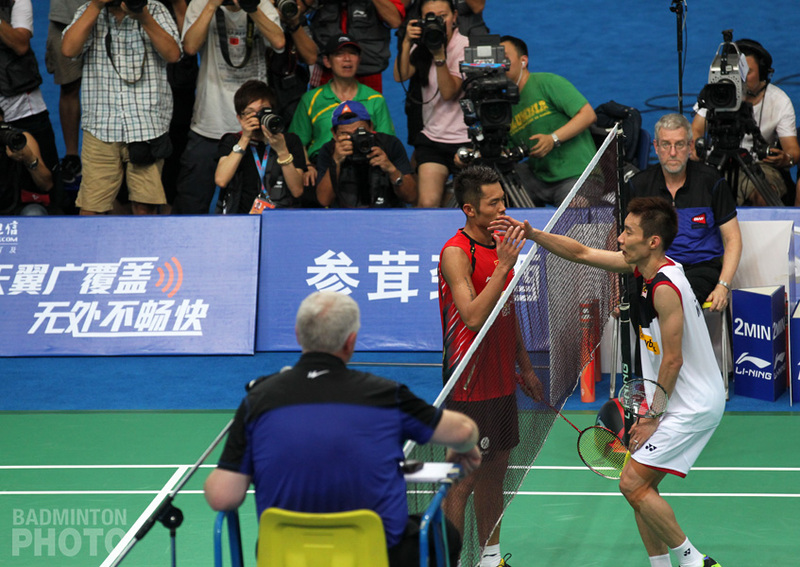 The men’s singles title became the first for Lin Dan (pictured right) in over a year. In the course of his last tournament victory, too, he had to overcome Indonesia’s Jonatan Christie. 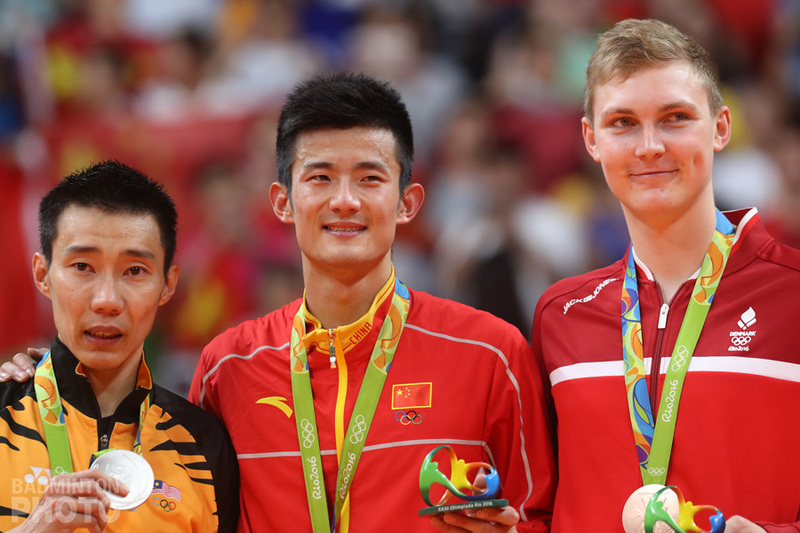 The 20-year-old has now beaten the Chinese legend twice, including in their last encounter, at the China Open, but this time Lin prevailed in straight games to title in his first appearance in New Zealand. 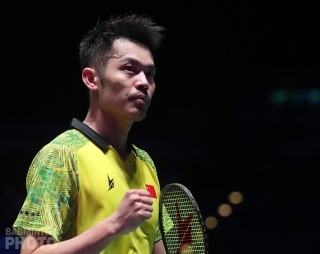 Lin Dan will now begin gearing up for the Thomas Cup, which China has not won since 2012. He will be playing 3rd singles – or 2nd, depending on the line-up. Most of the New Zealand finalists will be sitting out next week’s Australian Open as the Thomas and Uber Cup finals approach. 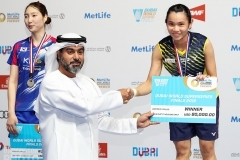 The Korean mixed runners-up are perhaps the only ones bound for Sydney who are also expected to represent their teams in Bangkok later this month. 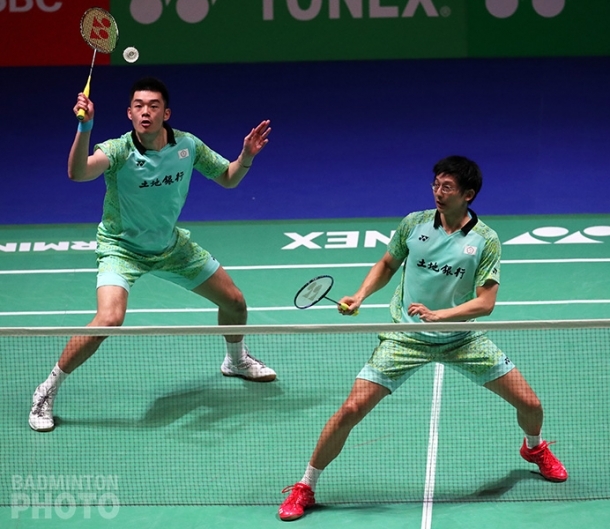 Seo Seung Jae and Choi Sol Gyu, who had a couple of key wins for Korea at the Sudirman Cup last year, will be hoping to make it off the reserve list in Australia to get some match experience before Bangkok.